We went shopping at Home Pro yesterday. We took home a multipurpose rice cooker, a juicer and a soap tray. We also got several small stuff from Ikea. Not bad. We went and got what we wanted. Trip was to the point. 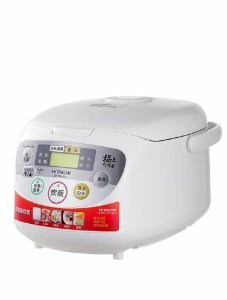 Above is a multipurpose, fuzzy rice cooker. We bought it because I have been steaming and cooking from 3 different pots and pans for different purposes. To have one appliance that does all the job is just awesome for a full-time-on-the-go mother! Saves me from going to bed at midnight (and you don't want to know why).